Surrounded by streams of Spree and in the midst of the unique UNSECO Biosphere Reserve of the Spreewald (Spree Forest), you will find the only castle ensemble near Berlin that is fully preserved. Pay us a visit and get to know our unique hotel in the Spreewald (Spree Forest). Whether you try some of the Spreewald (Spree Forest)’s specialties at the Schloss-Restaurant LINARI (Castle Restaurant LINARI) that won numerous awards or try international cuisine, attend events or let yourself be spoilt in the wellness area – our Schloss (Castle) near Berlin promises a unique holiday in the Spreewald (Spree Forest). Whether room, suite, or a holiday apartment in the Spreewald (Spree Forest): a holiday experience with top-class amenities is located in the Marstall (Former Stables), our family- and child-friendly residence. A separate garden area provides for relaxation and an unforgettable holiday in the Spreewald (Spree Forest). Succumb to the magic of our Schlossgeister, as the employees of Schloss Lübbenau are called and enjoy your stay in one of our Schloss (Castle) rooms or a comfortable holiday apartment. The Spreewald (Spree Forest) and the Schloss (Castle) near Berlin are suitable for a short vacation, a spa weekend or an extended holiday. 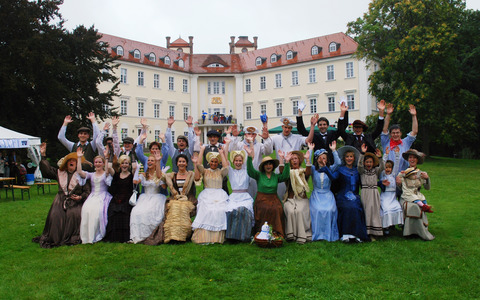 Whether you are planning a group trip, a Castle Wedding or a conference – Schloss Lübbenau (Castle of Lübbenau) is both the appropriate holiday and conference hotel near Berlin. We do everything according to your wishes and requirements, arranging deals and specials for every occasion. As a conference hotel near Berlin, Schloss Lübbenau (Castle of Lübbenau) offers ideal conditions to bring your goals ahead. Get the real feel of magic when nature awakens in springtime, summer invites with rich greenery and mild air to explorations, autumn shows the castle ensemble in fascinating colors and winter transforms Schloss Lübbenau (Castle of Lübbenau) near Berlin into a true fairy tale scenery. 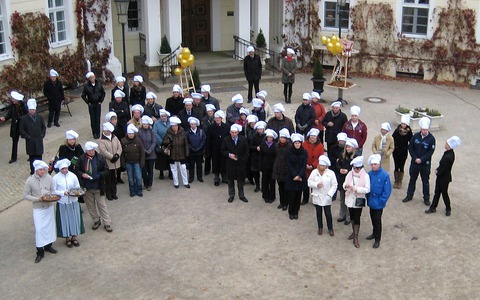 Throughout the year numerous events are waiting for you in the Spreewald (Spree Forest).